Lay down guitar parts from inside the control room. A transmit and receive module allows your guitar signal to travel through 350' of balanced cable to a distant amplifier. 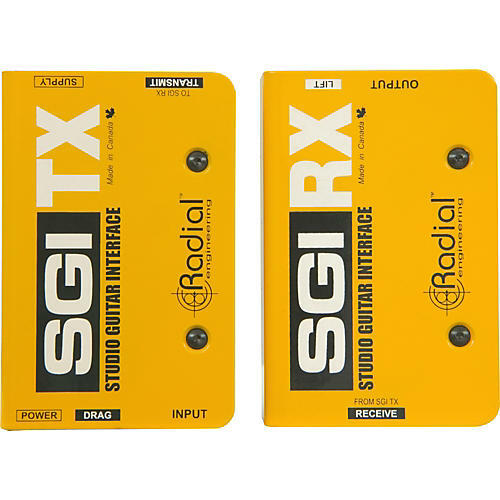 The SGI is a unity gain device that features 100% discreet Class-A circuitry and transformer isolation to eliminate ground loops. It also has a Drag Control load correction circuit, DC connection for provided 15VDC supply, and ground lift. You can be in the next state and still have great tone. Order now.